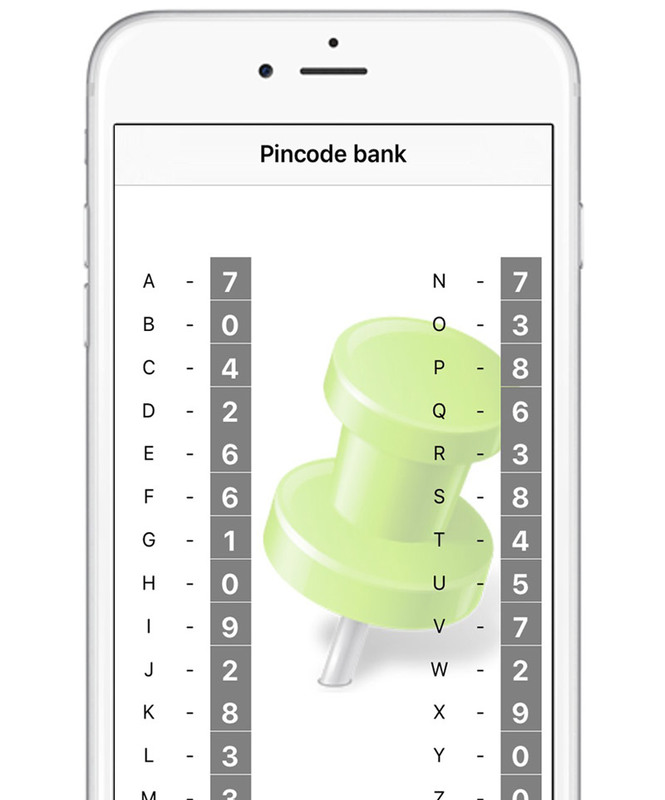 WordPIN, by far the safest and fastest tool that helps you retreive all your numeric codes, anytime, anywhere! Check out these few slides and discover the magic of WordPIN! Yes, WordPIN works with a secret word to retreive a forgotten code. Retreive all your codes with only one word! And NO! WordPIN doesn’t need to know the secret word! The secret word is only in the memory of the user and nowere else. In WordPIN every new entry is called an ‘Account’. 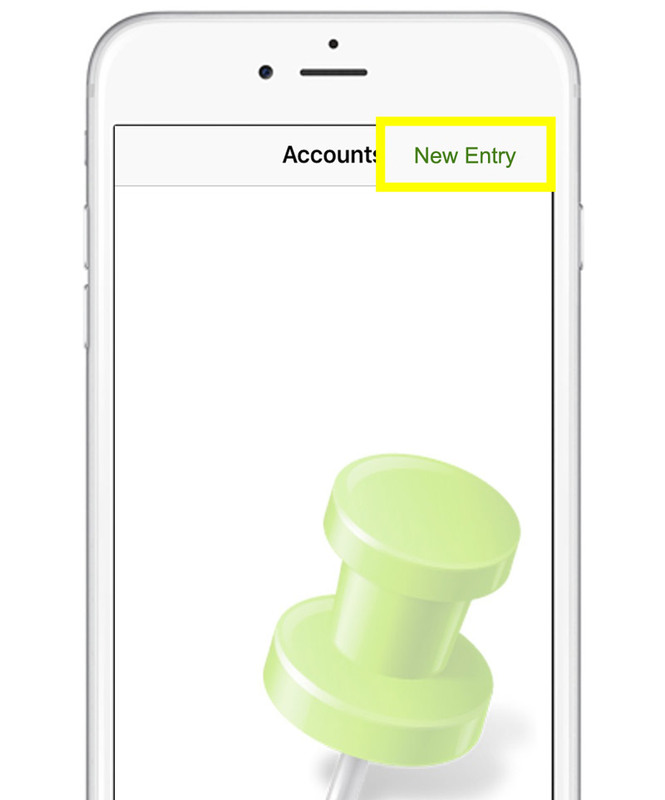 Just click New Entry to create your first account. First give the new entry a suitable accountname and click Accept. 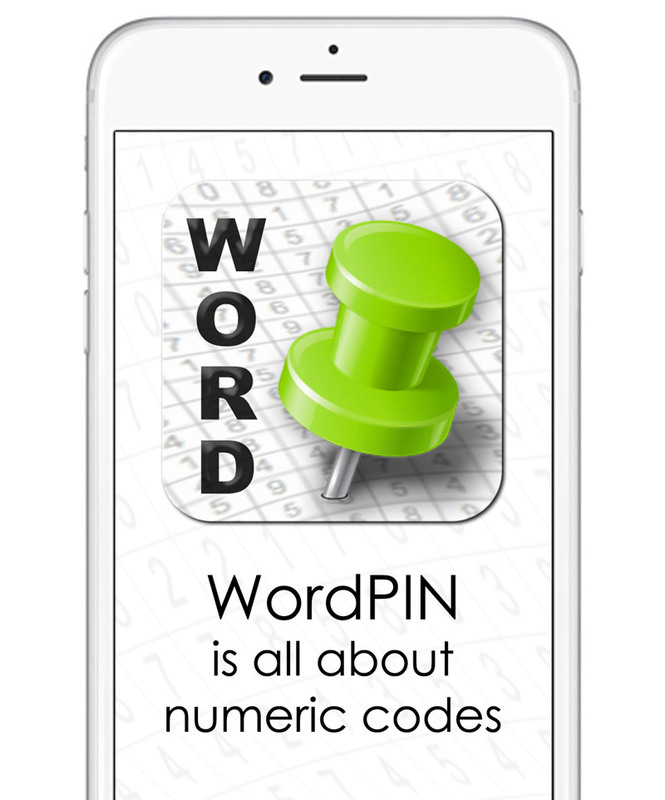 WordPIN will generate a random list of letter-number combinations. You are now able to modify the numbers behind the letters of the secret word PARK by clicking on the corresponding number. 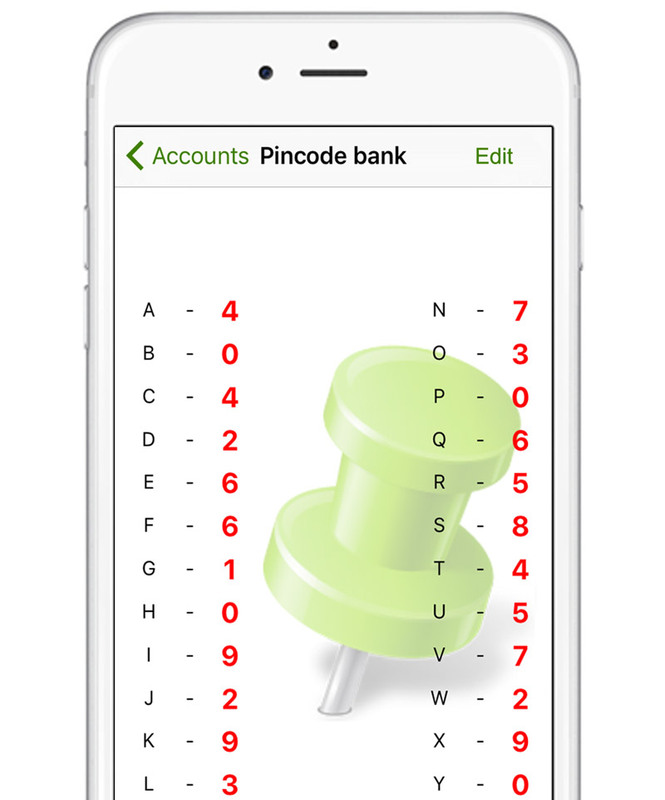 Adjust as many digits as you like and in any order you like, as long as the four digits of your PIN number corresponds with the letters of the secret word. 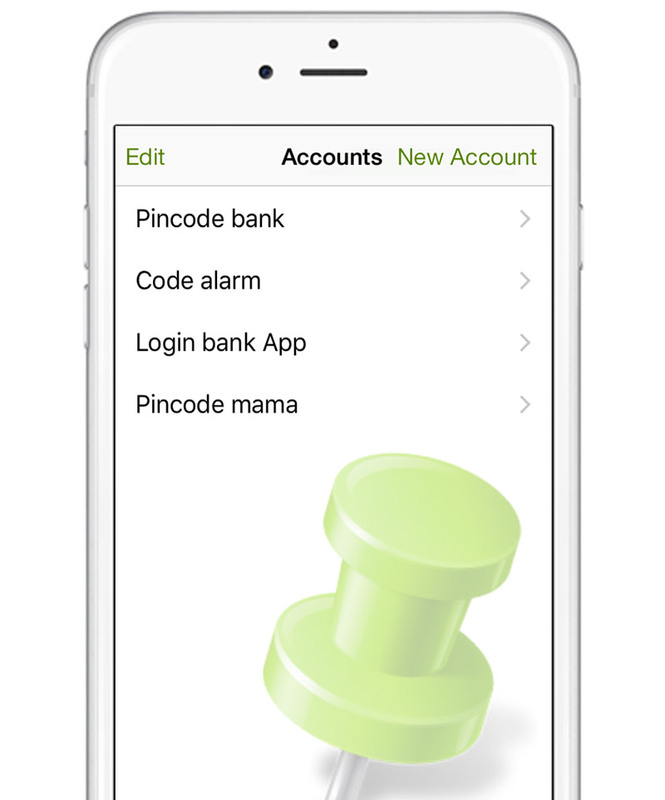 The PIN number 0459 of account Pincode bank is now secure stored in WordPIN behind the letters of the secret word PARK. As long as you keep your secret word secret, nobody will ever find out what te code is. 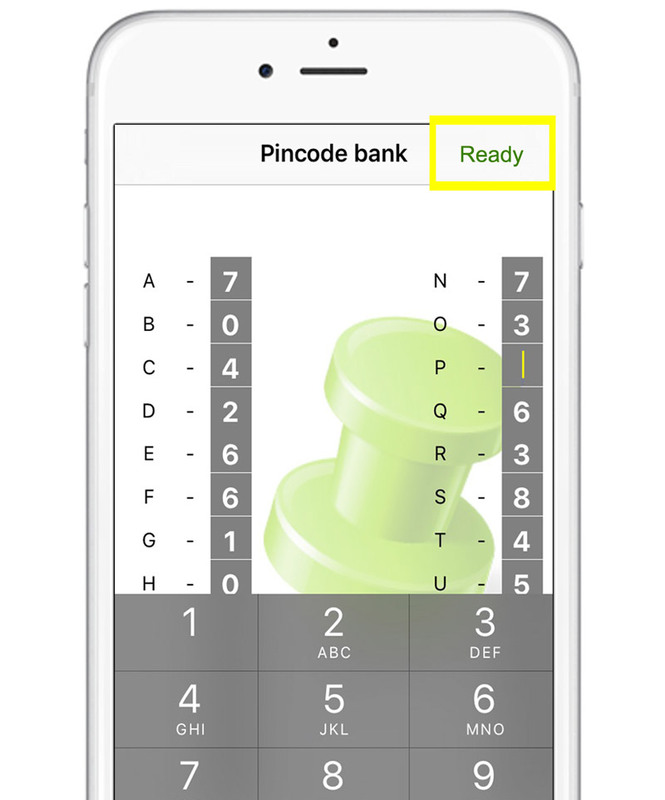 Your first numeric code safely at your disposal. 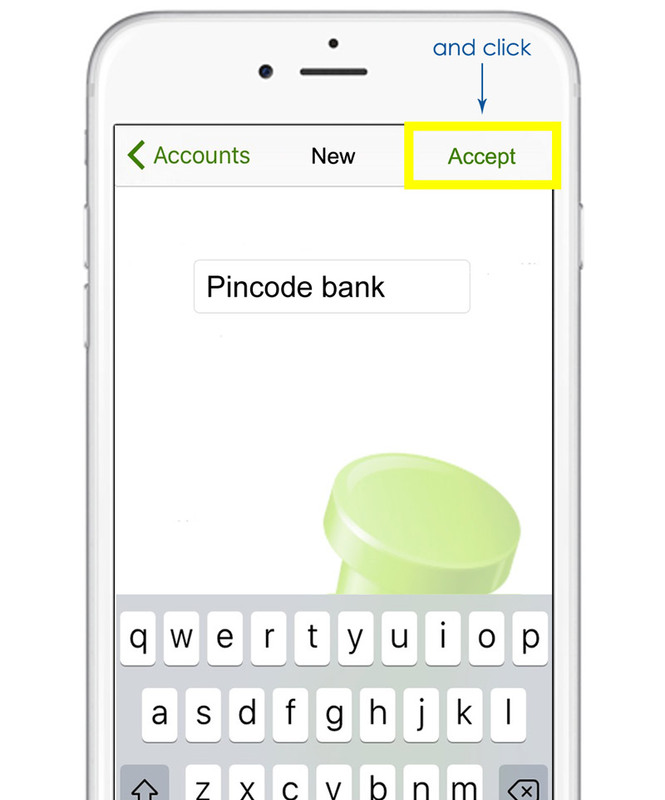 Just click on the name in the account list and retrieve in a few seconds the forgotten code. 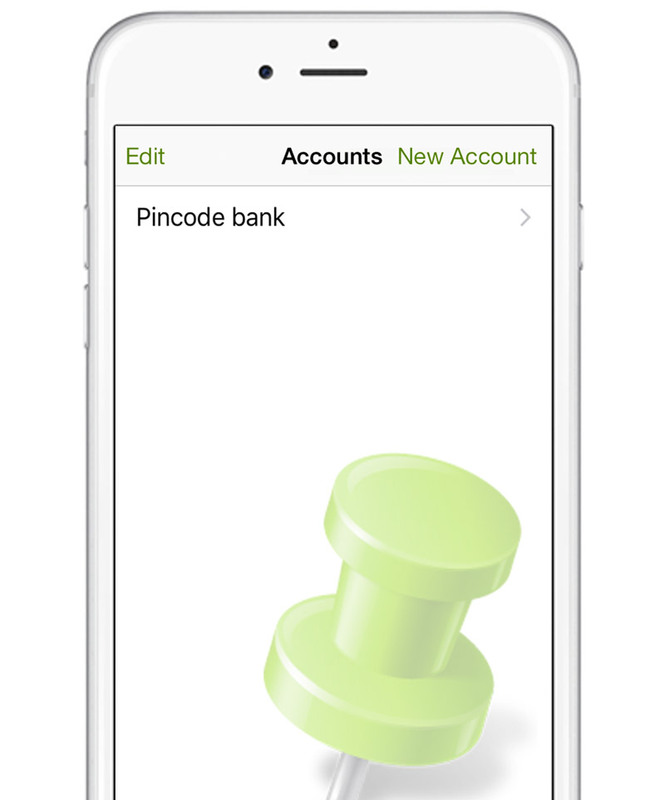 Install WordPIN and update to PREMIUM version for an unlimited number of accounts for the price of a soft drink. One day your gonna need it!